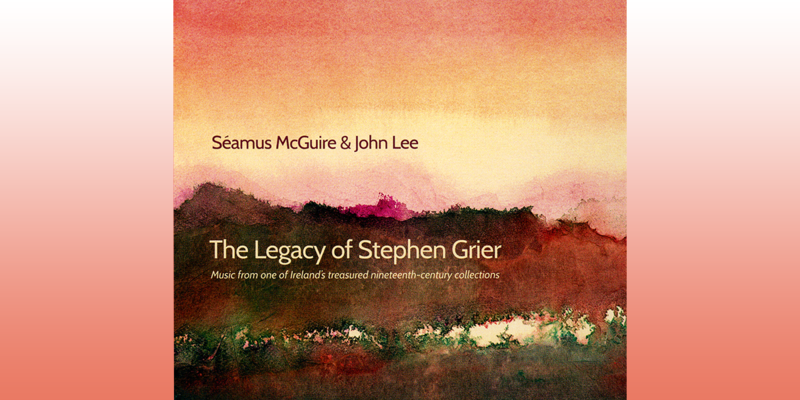 Just one of our new CDs: 'The Legacy of Stephen Grier' by Séamus McGuire & John Lee. Boyle, Ger, mandolin, Irish mandolin, [Boyle] n.n., n.d.
Boyle, Ger, singing in English, guitar, mandolin, banjo, Nostalgia, [Boyle] n.n., n.d.
Fitzgerald, Mick, singing in English, guitar, Still live, Fitzgerald MOGG4, n.d.
Keogh's Session Group, instrumental music, Behind the half door, s.n. BHD005, n.d.
Bodley, Lorraine Byrne, ed., Music preferred: essays in musicology, cultural history and analysis in honour of Harry White Wien: Hollitzer Verlag, 2018. 784 pp. ISBN 9783990124017 (hbk). Axel Klein: “No, Sir, the Irish are not musical”: some historic (?) debates on Irish musicality. Adrian Scahill: “That vulgar strummer”: the piano and traditional music in the Gaelic Revival. Karol Mullaney-Dignam: “What do we mean by Irish music?” the politics of state-sponsored music publication in independent Ireland. Gearóid Ó hAllmhuráin: Sonic icon, music pilgrimage: creating an Irish world music capital. Méabh Ní Fhuartháin: “In the mood for dancing”: emigrant, pop and female. Michael Murphy: “Irish” musicology and musicology in Ireland: Grattan Flood, Bewerunge, Harrison, White. Mitchell-Ingoldsby, Mary, ‘‘Twas Tír Na nÓg itself’: The Muckross Music Collection: fieldwork in North Kerry 1980–1990’ in Folk life: journal of ethnological studies 54, no. 2 (2016): 132–161. Ó Laoire, Lillis, ‘Towards an aesthetics of Gaelic song performance’ in Folk life: journal of ethnological studies 54, no. 1 (2016): 49–67. Smith, Thérèse, ‘Singing the self: song, memory and identity: three views from Tom Munnelly's field diaries for the Department of Irish Folklore’ in Folk life: journal of ethnological studies 56, no. 1 (2018): 14–24. Weissenberger, Lynnsey, ‘Linked data in music and its potential for ITMA/traditional music web resources’ in Brio: journal of the United Kingdom and Ireland Branch of the International Association of Music Libraries, Archives and Documentation Centres vol. 55, no 1 (Spring / summer 2018), pp. 52–57. Colin Harper Collection. Serials and programmes from the 1970s–1990s donated by Colin Harper. Conor Caldwell, Declan Fay, John Lee, Séamus McGuire, John Moulden, Eileen O’Brien, Virginia Stevens, R. Greene, and Alan Woods.